What is the problem with the way Texas addresses toxic site cleanups? 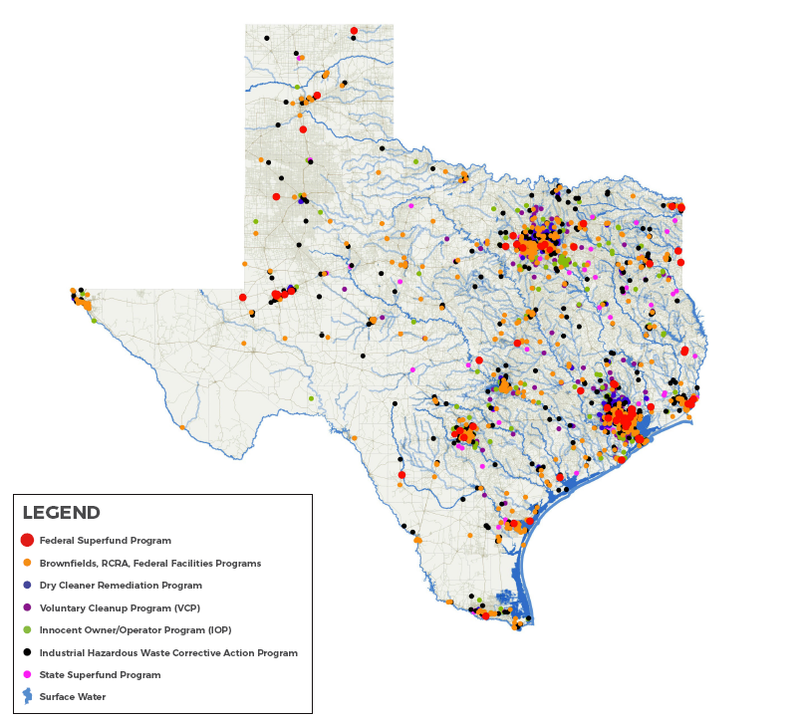 Dozens, perhaps hundreds of sites in Texas bear the burden of toxic legacies–former industry and waste sites typically that still have dangerous pollution in the soil and groundwater. In just 10 years of data TCE/TCE Fund found 77 “Sites of Concern” with no recorded cleanup or with minimal testing to ensure people and the environment were safe–our “Sites of Concern.” You can see a map of these sites (and hundreds of other investigation sites) here. One big reason why these sites are falling through the cracks: the benchmarks for deciding when pollution needs to be cleaned up are very weak in Texas. Check out our report from TCE Fund, Missing the Mark for all the details. Read a summary from the Texas Tribune here. Texas will allow 31.7 times more arsenic in soil than the EPA. Texas allows approximately 1,500 times more hexavalent chromium in groundwater than the EPA. On average, Texas will allow 40.1 times more pollution in our groundwater than Mississippi. On average, Texas tolerates 5.88 times the amount of pollutants in our residential soil as Louisiana does in their industrial soil. The average Texas soil benchmark for known carcinogens is 6.81 times weaker than standards in nearby states (AK, OK, LA, MS). When calculating chemical risk at toxic sites, Texas tolerates a cancer risk 10 times higher than the EPA and nearby states (AK, OK, LA, MS). Texas has inspected sites and declared them requiring “No Further Action” when later the EPA declared them serious enough to be considered for the Superfund National Priority List (the most toxic sites in the country). 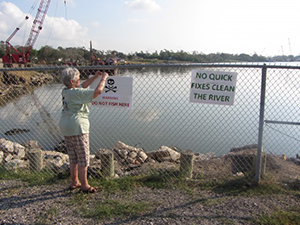 Our federal Superfund program has been underfunded for years, so state agencies like the Texas Commission on Environmental Quality (TCEQ) have been tasked with cleaning up most polluted sites in our communities instead. Contaminated sites often don’t get cleaned up, or they are remediated years after they should have been taken care of. For instance, in 2014 the TCEQ inspected River City Metal Finishing—the site of a former metal finishing businesses in San Antonio—that is above the Edwards Aquifer, the only drinking water source for the city. The TCEQ decided that no further action was needed, but in 2018 the EPA decided it was one of the toxic waste sites most in need of action and it was nominated for the federal Superfund. For carcinogenic chemicals, environmental agencies use “risk factors” to determine cancer risks that chemicals pose to communities. Unfortunately, TCEQ uses a risk factor which permits a cancer risk 10 times higher than agencies in Oklahoma, Arkansas, Louisiana and Mississippi. Our state agency also assumes that Texans are smaller in stature, will have less skin exposure to chemicals, and that Texas children ingest less soil than kids in other states. These assumptions, along with a number of other factors, skew how the TCEQ creates cleanup standards. For a number of chemicals tied to birth irregularities, Texas groundwater benchmarks are 45 times weaker , and for soil pollution our state standards are on average 15 times worse than federal protections for the same chemicals. For example, hexavalent chromium: “Protective Concentration Level” (PCL) for hexavalent chromium groundwater pollution—the chemical that was making people sick in the biographical film Erin Brockovich —is 1500 times weaker than the national standard. 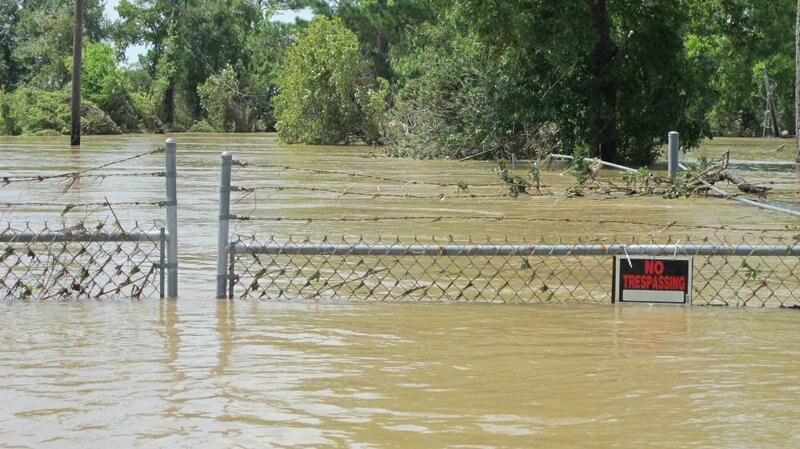 Texas permits more harmful chemicals in the ground and water than our neighbors and deems it safe. This means that even after the state declares a site in need of “No Further Action” it could still be as polluted as a Superfund site in another state. Texas industry workers are permitted to be exposed to higher levels of contaminants than in neighboring states. A site that Texas might say has been cleaned enough for residential housing could be unacceptable for industrial development in Louisiana or Mississippi. Once these state “cleanups” are finished they are no longer eligible for these stricter programs: homes and businesses can be developed on them with no liability. In fact, DISD’s Joe May Elementary School was knowingly built on one of these sites. Bottom line: This means Texas permits a greater risk of harmful chemical exposure that can lead to health problems in Texas communities. We need the state environmental agency (TCEQ) to strengthen our toxic waste benchmarks to better protect us from dangerous pollution. We need our state lawmakers (and candidates) to make it clear that they support public health by calling on the TCEQ to improve toxic waste pollution benchmarks. What specific policy options would make a difference? HB 893 and SB 2385 would strengthen Texas “Protective Concentration Level” benchmarks by adopting the same risk of cancer used in Louisiana and Mississippi and in the federal numbers used by Arkansas and Oklahoma. Why is this an urgent issue? These sites are affecting the air, water and land of Texas on a daily basis. 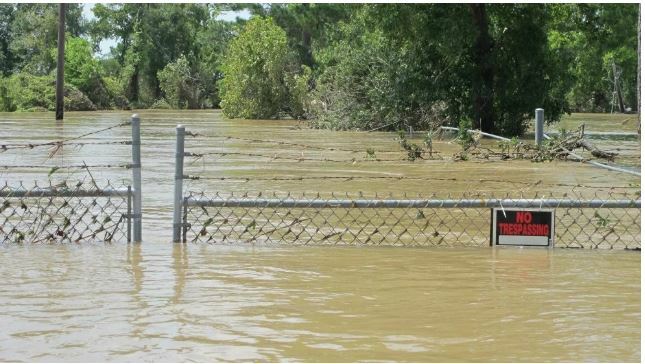 Worse, disasters like Hurricane Harvey or recurring flash floods here across Texas pose a serious environmental risk: they can wash pollution from these contaminated sites into our homes and waterways. Once they strike, however, it can be too late to do anything—we need action to clean these sites up NOW. Further, Texas is the fastest growing state in the country. As more people move to our state, developers will continue to use these abandoned spaces to house and accommodate them, and previously unnecessary groundwater resources may need to be tapped. Without adequate cleanup standards implemented NOW, we risk exposing people to dangerous chemicals in their own spaces. Help spread the word – share items on Facebook, Twitter, write a Letter to the Editor to your local newspaper – Use #cleanuptx as a social media hashtag. Educate other individuals and organizations about this problem and engage with them! From our blog: Federal officials have finally ordered the full removal of dioxin-laden waste pits just outside of Houston on the San Jacinto River. Yes, the current U.S. EPA, headed by Scott Pruitt–who was appointed by Donald Trump–went against corporate power and took the environmentalists’ side in a major dispute. Chicago Tribune: Trump administration orders two big corporations to pay for a $115 million cleanup at a Texas toxic waste site that may have spread dangerous levels of pollution during the flooding from Hurricane Harvey. 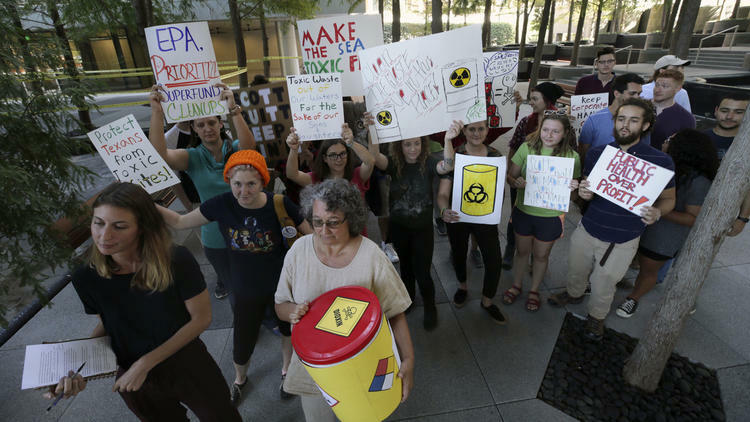 Houston Press: Houston-area activists gathered in the Fifth Ward on Tuesday to announce that they are joining organizers from across the country in influencing how the EPA deals with the Superfund program. 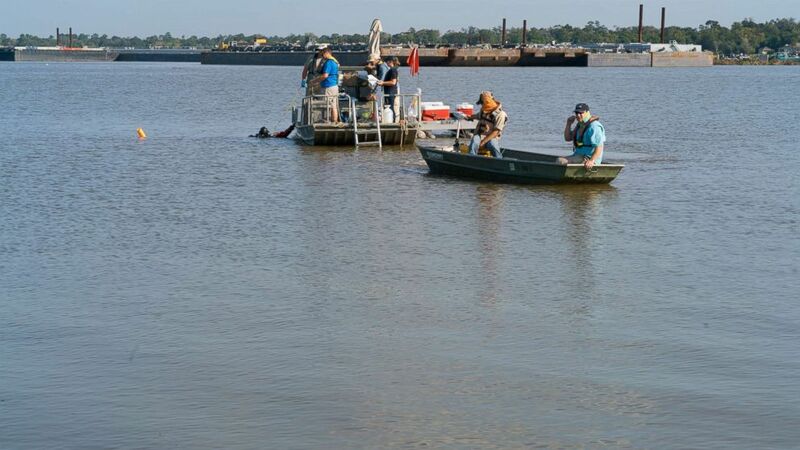 ABC News Houston: New test results found very high levels of chemicals called dioxins around the San Jacinto River Waste Pits Superfund site in Channelview. Thursday’s testing results released by EPA found levels at 70,000 nanograms per kilogram, more than 2,000 times the recommended level of 30 ng/kg.